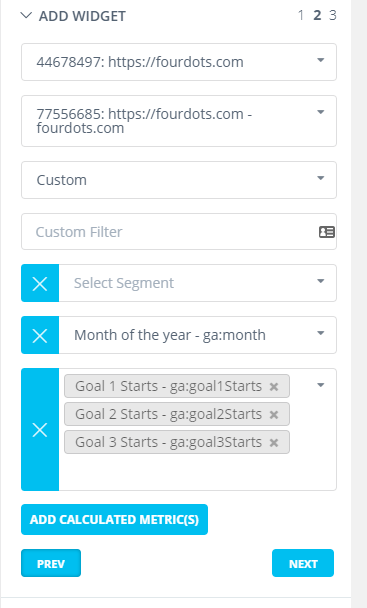 You can choose to track all goals completion. 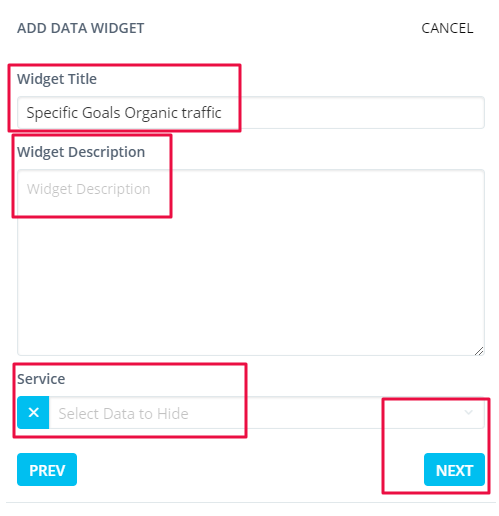 In step 2, you can edit widget title, widget description, and select data to hide. 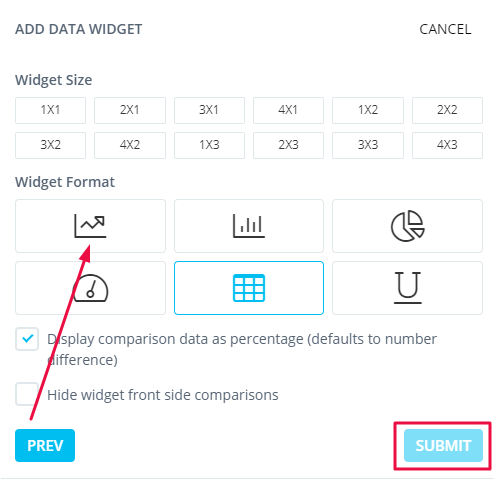 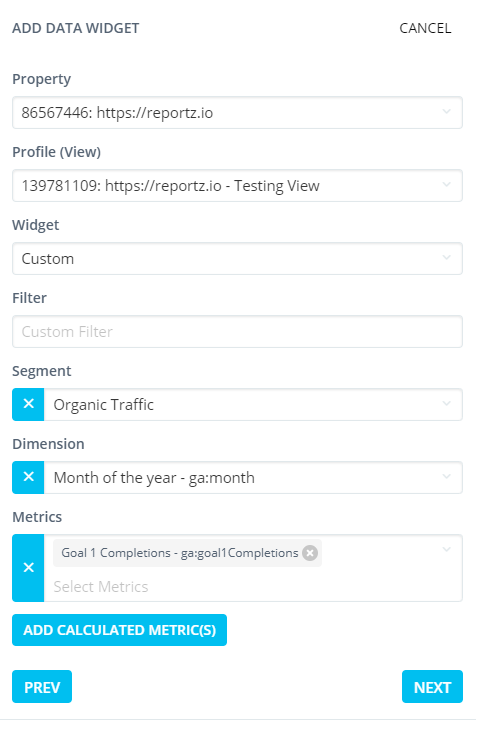 During the last step you can choose the format and size of your GA widget.